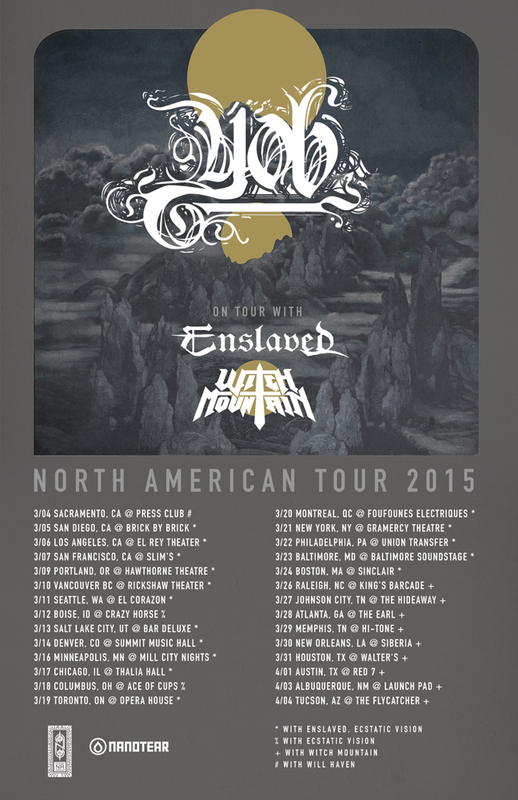 Yob’s set to head out on a tour with Enslaved in March, but the band has confirmed that right after that tour ends they will stay on the road for some headlining dates. Ecstatic Vision, who is also on the Enslaved dates, will continue to tour with them, and Witch Mountain will be on select dates. 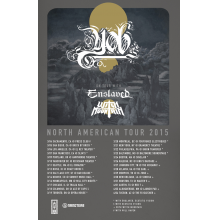 Yob is touring in support of their newest album Clearing The Path To Ascend, which is a monstrous effort that has been met with critical acclaim since its release last fall. Check out the full list of dates below, and if you haven’t seen this group live before I encourage checking them out as their performance is entrancing and will truly take the audience to a different plane of existence. In addition to their previously announced North American live takeover this March supporting progressive black metal technicians, Enslaved, long-running Portland doom monarchs, YOB, today reveal additional headlining stage rumblings. With various performances scattered prior to, throughout and following the Enslaved run, YOB will decimate ears in Sacramento, Boise, Columbus, Raleigh, Johnson City, Atlanta, Memphis, New Orleans, Houston, Austin, Albuquerque and Tucson. Support will be provided by noise rockers, Will Haven, doom wranglers, Witch Mountain and trance-inducing psych rock perpetrators, Ecstatic Vision (also on the Enslaved tour) on select dates. See confirmed itinerary below.